Pioneer Computers Australia has released the DreamVision Antireflective and sunlight readable screen protector films which turn an ordinary computer screen into a sun-light readable screen. 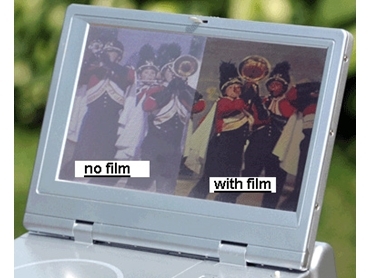 The DreamVision antireflective and sunlight readable screen protector films offer the easy and affordable option to add the sunlight readable feature onto the computer screen. Now the user can easily read the LCD displays on PDA's, laptops, iPods and thousands of other electronic devices indoors or outdoors in indirect daylight. With DreamVision screen protection and glare protection, colours are rich and sharp, as if reading indoors. Hides fingerprints and is easy to clean. Combines the hardness of a traditional screen protector with innovative light cancelling technology. These sunlight readable screen protector films protect screens and avoids the expense of screen replacement which can cost $200-$600. Adhesive screen protector adheres to the screen with a low-tack rubber. Ideal for devices such as PDAs, Smartphones, LCD monitors, PC tablets, laptops and handheld devices where reflection is a problem. Hundreds of stock sizes fit popular electronic devices used for recreation, business and travel. Used in the most severe environments to protect devices in commercial, industrial, military and government settings.